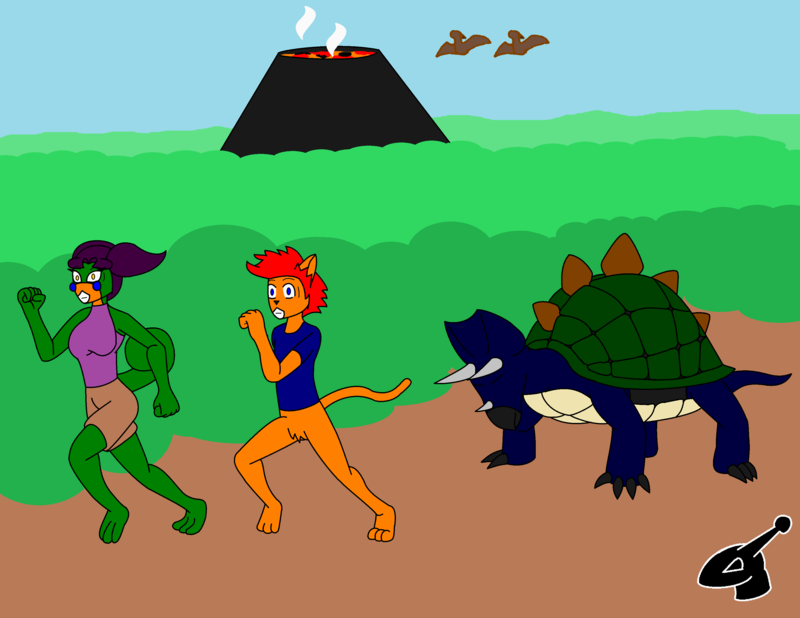 running alongside Frita from an angry Tricerpin. enjoy! poor koop, this wasn't the best day for him not to wear pants X3 like it?